Managing creatives is a big task, and often, in an almost-serious manner, is termed as ‘herding cats’. Creatives, however, are often proud of this, and take pride in being different. Bearing this in mind, creative agency Droga5 has launched a national campaign called ‘Creative Spirit’, which encourages agencies, architectural firms, film companies and other creative workplaces to employ disabled people full time. With the tagline ‘What can be more creative than being different?’, the campaign was launched at the Caxtons Awards last Friday. To date, there are already 18 agencies in Sydney (including The Monkeys, DDB Group Sydney, Mentally Friendly) and one in Melbourne on board. 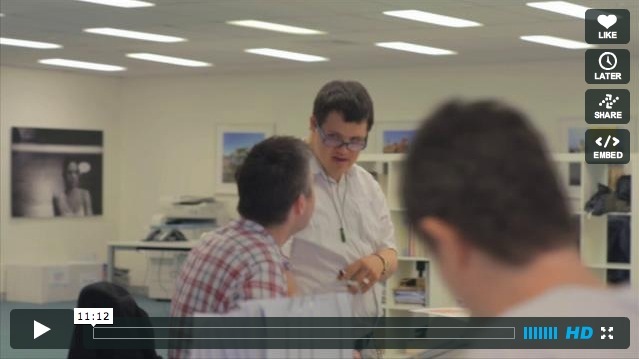 Ross Lewis, managing director of Break Thru People Solutions says: “People with disability not only make great employees – with less sick days and less absenteeism and greater keenness, but also an intangible benefit of a workplace that appreciates that people with disabilities are employed there. It raises the morale of the general workplace’.